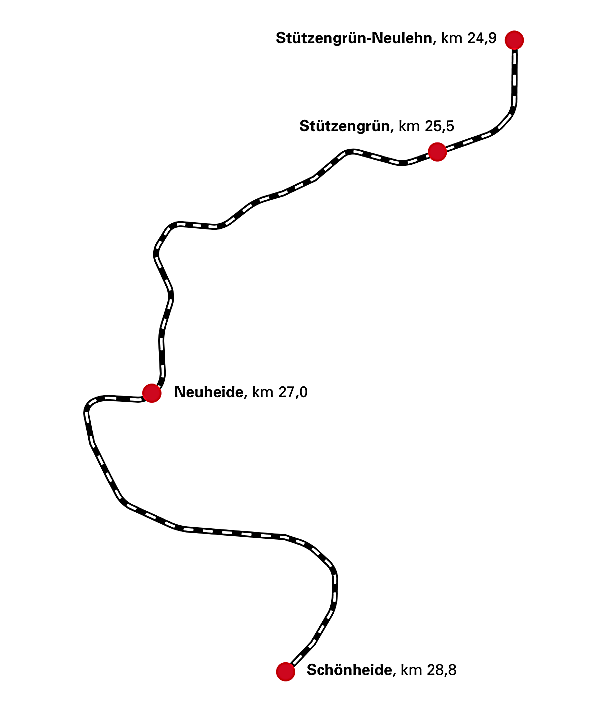 The first, longest and steepest narrow gauge railway in Saxony used to run from Wilkau-Haßlau near Zwickau to Carlsfeld via Kirchberg, Rothenkirchen, Stützengrün and Schönheide. The route led through the Eastern Vogtland and Western Ore Mountains. Yet in 1977, the last section of the line was closed. 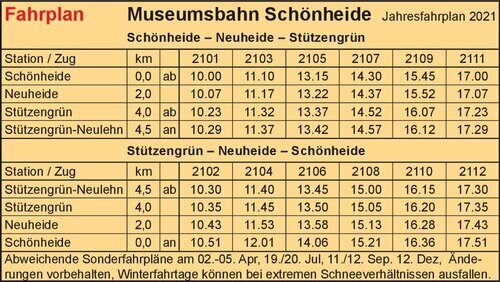 Not wanting to see this railway shut down for ever, several railway enthusiasts founded the Museumsbahn Schönheide railway association in 1991. The association rebuilt the 4 km (2.49 mi.) 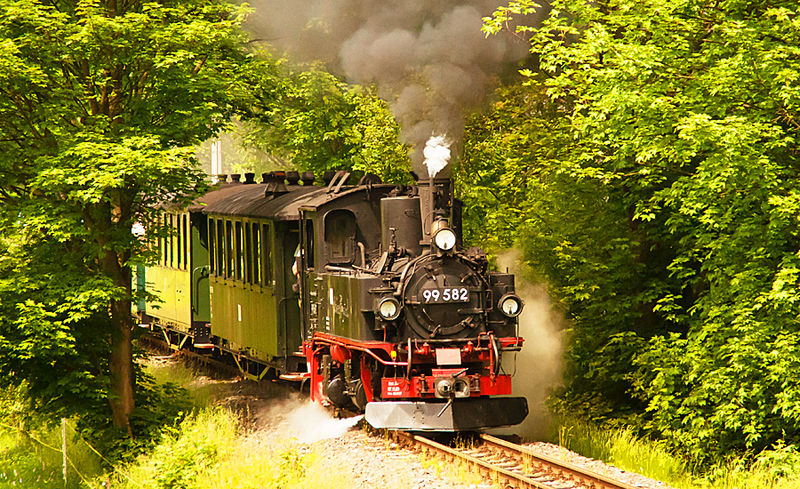 stretch between Stützengrün and Schönheide and operates it as a museum railway today. The following three IV K steam locomotives can be found at Schönheide station: nos. 99 516, 99 582 and 99 585. 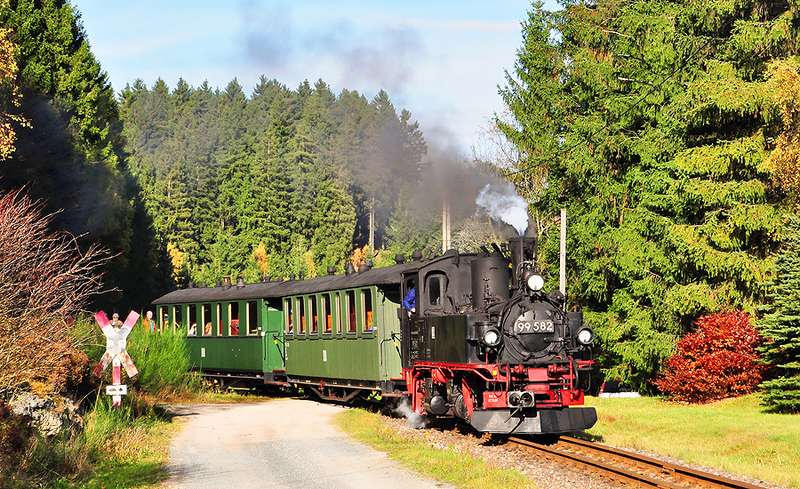 The first two are operable and run along the foot of Kuhberg and Fuchsstein mountains at several weekends of the year. 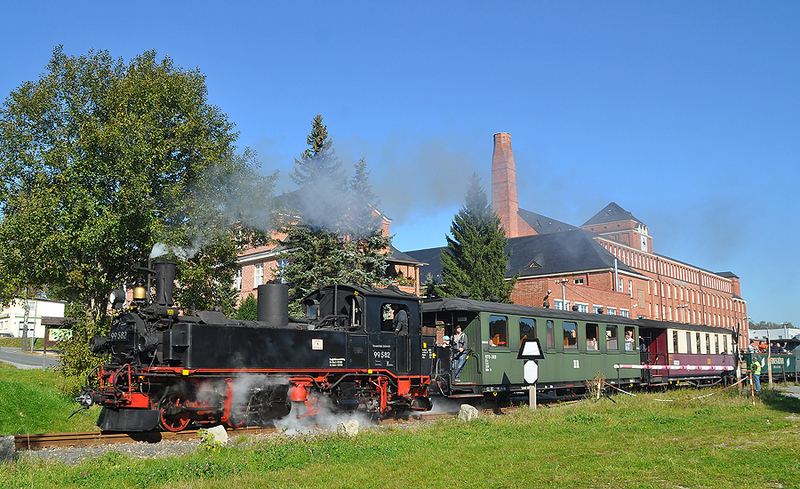 The Museumsbahn Schönheide association, in cooperation with the FHWE association, has been organising a great railway event - the WCd narrow gauge festival - once a year since 2006. 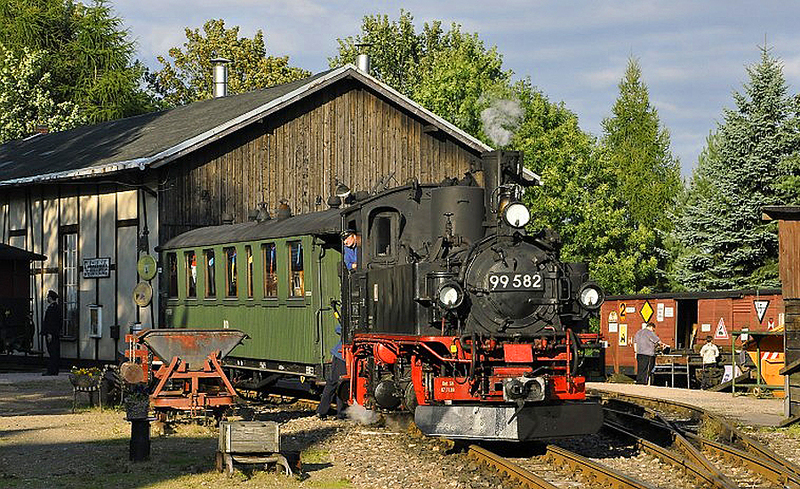 In addition, a branch of the Schönheide registry office is located in one of the historic passenger coaches of the museum railway. Since 2007, you can officially marry here!